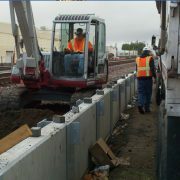 Summit provided environmental consulting services as part of the Burlington Northern Santa Fe (BNSF) Orangethorpe Avenue Grade Separation project. The project consisted of raising the Orangethorpe Avenue roadway over the BNSF tracks to provide a grade-separated crossing. Summit’s scope of services included reviewing existing environmental reports for the site, soil sample collection along city streets, air monitoring, soil analysis and characterization, and stockpile sampling. 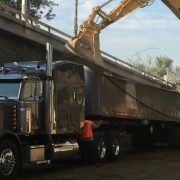 Statistical analysis and perceived options for hazardous material disposal and reuse were completed by Summit in addition to management of the transportation and disposal of over 20,000 tons of non-hazardous and California hazardous soil and site investigation for 200,000 tons of material. 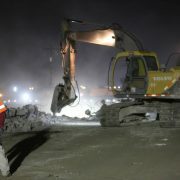 Summit provided consulting services as part of the construction of the Interstate 5/Carmenita Road Interchange project. 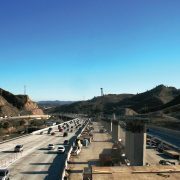 The construction included the removal of the existing two-lane grade separation over-crossing at Carmenita Road, realignment of existing frontage roads, and construction of a tight diamond interchange with a new Carmenita Road over-crossing grade separation structure over Interstate 5 and the Union Pacific Railroad crossing. New right-of-way acquisitions of residential and industrial properties, both full and partial-takes, as well as permanent and temporary construction/grading easements, were needed to accommodate the project construction. Services included preparation of a health and safety plan, excavation and transportation plan, lead compliance plan, sampling, and analysis plan, and transportation and disposal plan outlining the requirements for the handling of contaminated material. Fieldwork included geotechnical drilling of seventy (70) soil borings to approximately sixty (60) feet below ground surface to determine the location and thickness of the impermeable layer above the Artesia Aquifer and oversight, monitoring, and soil sample collection from over twenty (20) excavations and soil stockpiles. In addition to preparing monthly reports, Summit conducted statistical analysis for the evaluation and recommendations for the perceived options for management of contaminated soil (disposal or reuse on site). 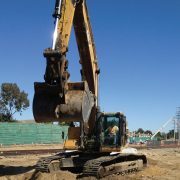 Summit provided consulting services as part of their bid preparation for the evaluation of contaminated soil for the San Gabriel Trench project. Services included the evaluation and recommendations for perceived options for management of contaminated soil produced during the San Gabriel Trench project; Determining the estimated volume of contaminated material requiring removal; Evaluation of contamination concentrations in soil using statistical analysis in order to provide the most favorable (cost effective) classification and receiving facility options; Statistical analysis of perceived remedial options; Cost analysis for soil and groundwater management and disposal; and Compliance plans and reports evaluation and preparation.